The Scientific Advisory Committee for the Indo-Pacific Fish Conference (IPFC) offers an award for distinguished contributions to Indo-Pacific ichthyology. The award honours the father of Indo-Pacific ichthyology, Pieter Bleeker. The first Bleeker awards were presented in 2005 at the 7th IPFC, Taiwan, to John E Randall, and J Howard Choat. Nominations are now solicited for the third round of the Pieter Bleeker Awards for Excellence in Indo-Pacific ichthyology. The prize is awarded to an ichthyologist for “an outstanding body of published work in Indo-Pacific ichthyology, mainly in systematics and ecology”. 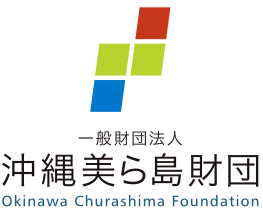 The award will be presented during the 9th IPFC, to be held during June 2013 in Okinawa, Japan. Nominations may be made by any ichthyologist, including self-nominations, and should include the nominee’s curriculum vitae, details of the nominee’s specific contributions and their impacts on ichthyology.